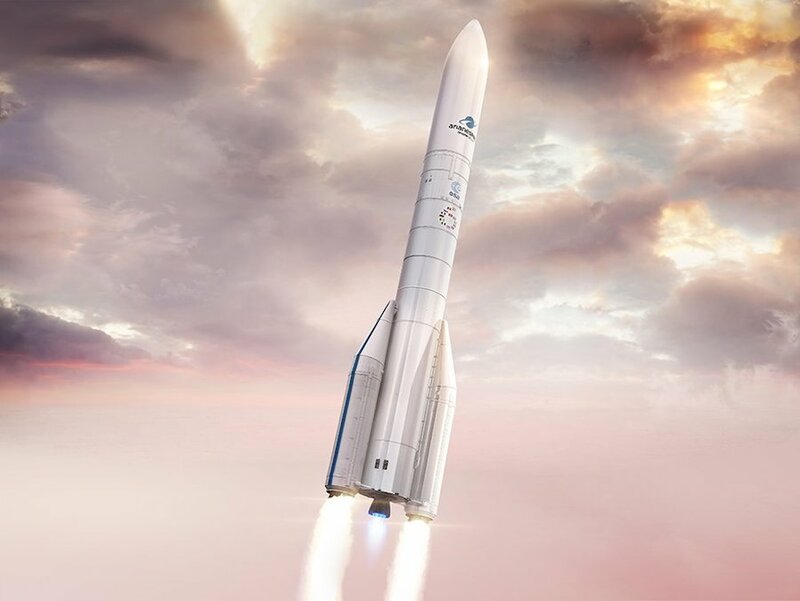 Artist's rendition of the Ariane 62, version (two side-boosters) that is optimized for institutional missions. Credit: Arianespace. 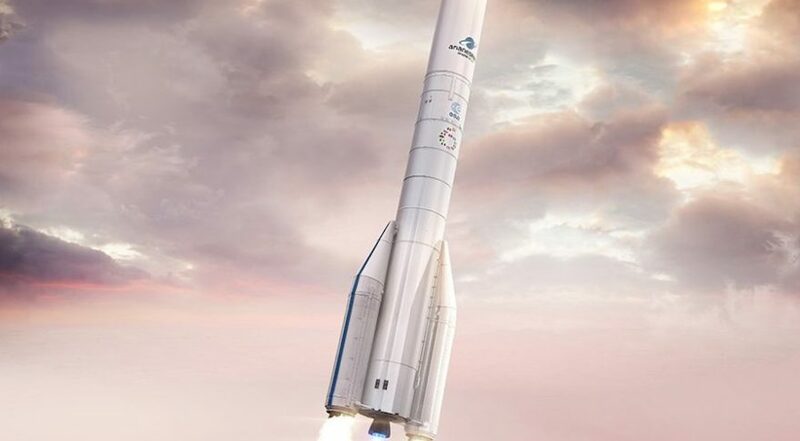 Artist’s rendition of the Ariane 62, version (two side-boosters) that is optimized for institutional missions but will launch first for commercial satellite operator OneWeb. Credit: Arianespace.